From bud break to bottle, the ’15 Eternity responded beautifully to all the love it received. It was a short, difficult growing year. Yet, as I often say; well-seasoned growers and winemakers, who deeply understand the collaboration, science and art of winemaking, make all the difference. Kudos to our vineyard and winery teams! “Indeed, the 2015 vintage sets apart the most capable winemakers, who were able to make balanced and fresh if rich reds…” James Suckling. “A dense and layered red with a velvety texture and a rich, juicy finish. Full body with vanilla, blackberries and some cappuccino…” — James Suckling Report 95 pts. 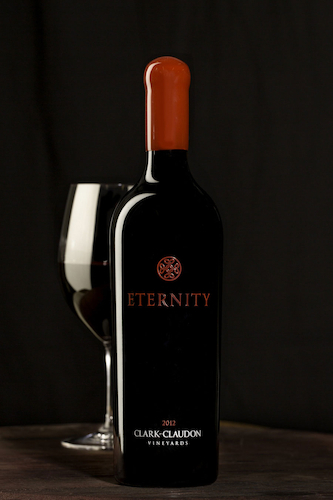 “Deep garnet-purple colored, the 2015 Cabernet Sauvignon Eternity is redolent of expressive cassis, black plums and clove notes plus underlying garrigue. Marmite toast and baking spice hints. Medium to full-bodied and firmly constructed, it has a great backbone of ripe, grainy tannins and plenty of freshness cutting through the dense fruit, finishing with a spicy lift. This was tasted as a barrel sample.” — Wine Advocate 95pts.